A Frame For Everyone — WETHEPEOPLE BIKE CO. Customizing your bike is important; it’s not about throwing any old piece of metal on and grabbing some parts. There is an art to it. 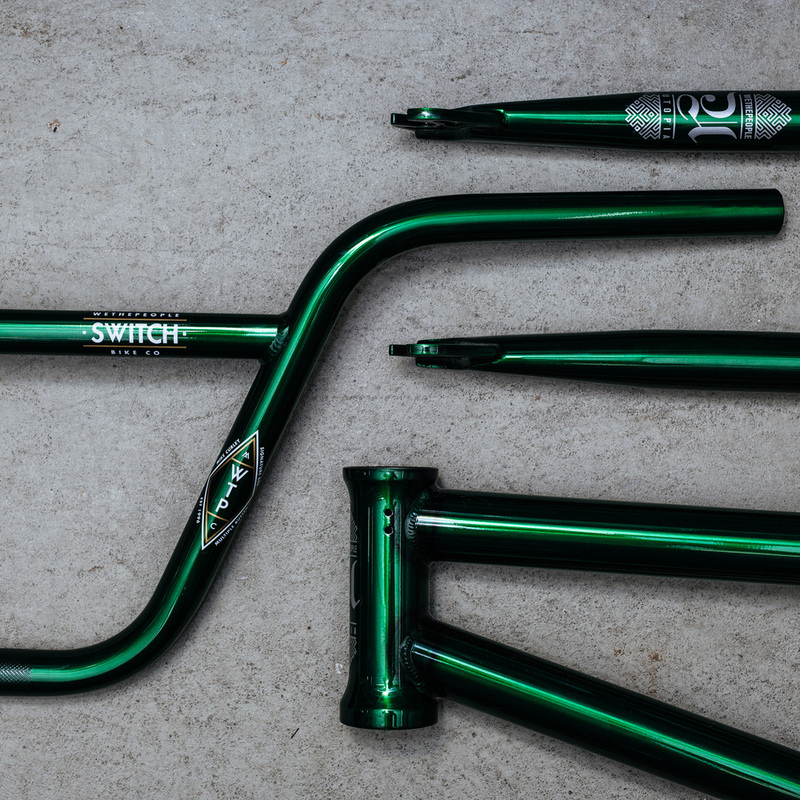 Color is vital, synchronization is fundamental, and symmetry is also a big part of making your custom bike look like a total boss. When we make frames we really think about the customer as an individual, the same way we designed our collection of complete bikes we made sure that any similarity was hard to come by. We want the rider to feel like they have a custom ride, that same ethos has been applied to our range of aftermarket frames and forks. Very soon our 2016 after market frames and forks range will be online and you can fully browse each item and compare the specs to your style of riding, if you like to nibble and be creatively technical, we have a frame for you. If you like to go big, we have a frame for you and if you like to blast the trails and roast in the woods then again, we’ve got you covered. If liked our 2015 frames (as pictured) then you are going to be in love with our 2016 frames. Just be patient.